While HelioScope does not have an explicit field for snow losses, it's possible to modify the soiling loss inputs in HelioScope to calculate the impact of monthly snow losses on project energy production. 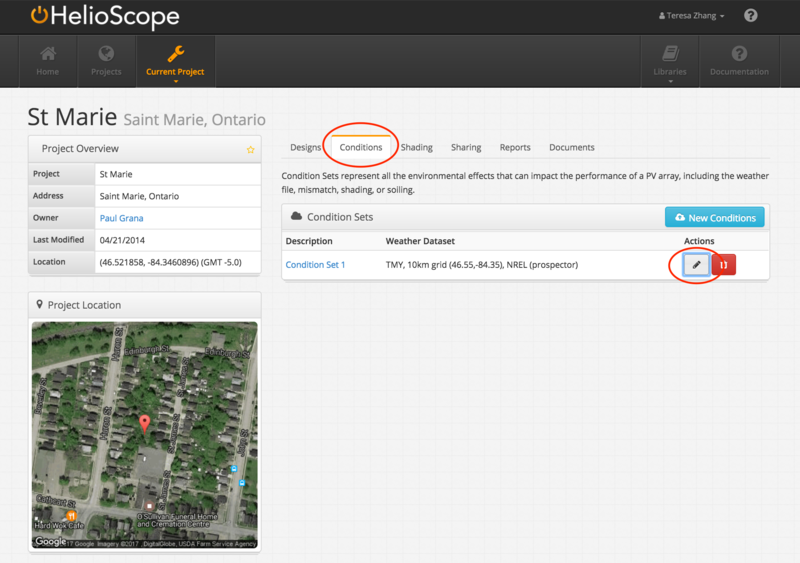 To do so, change the default condition set or add a new condition set from within the "Conditions" tab in any project. 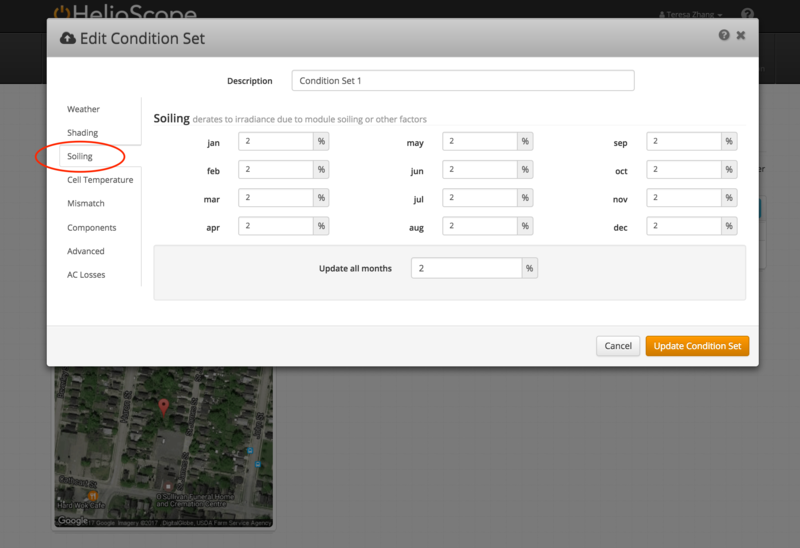 Select "Soiling" from the menu at the left, and enter monthly values for soiling and snow losses. There are three popular methods for calculating snow losses, known as the Townsend (or BEW) model, the Marrion model, and the Andrews model. They are described in this overview in SolarPro. Of these models, the most widely used is the Townsend model, which is described in this article from Renewable Energy World. Calculating snow loss requires data on historical snow fall for the project location. For locations in the U.S., the National Oceanic and Atmospheric Administration (NOAA) provides such data via their National Climatic Data Center (NCDC) portal.